From time to time a picture comes along that must be shared with others. 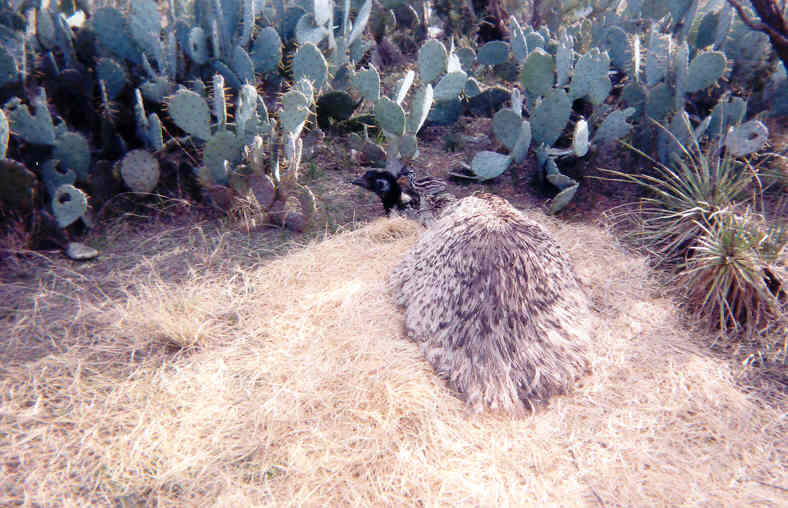 Here are a few of my favorite animal pictures. 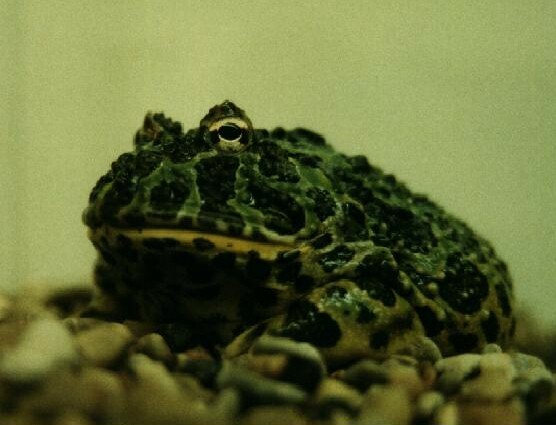 Just a big green frog. 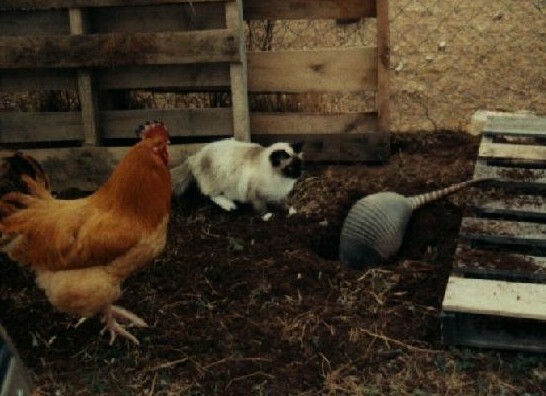 Armadillo, chicken, and cat at play. 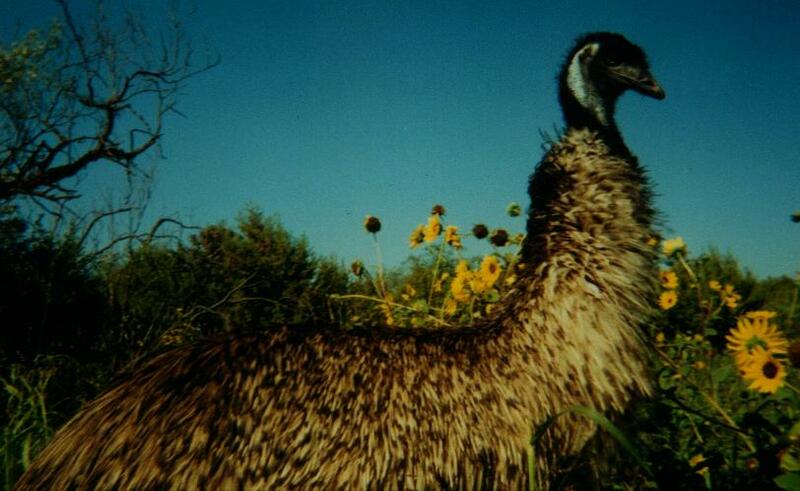 Our Emu and sun flowers..
Daddy Emu and his little one. 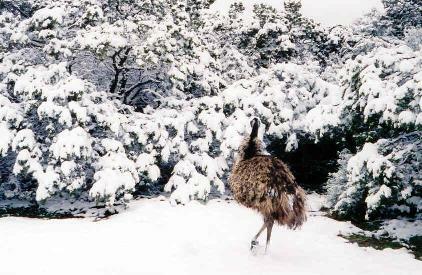 An Emu learning what snow is, Christmas 2004. 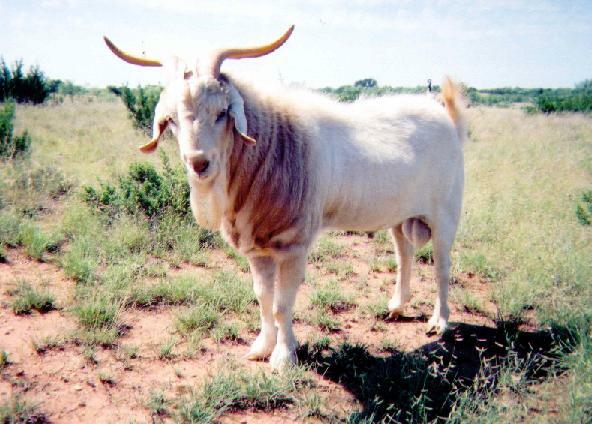 Billy the goat with his horns. 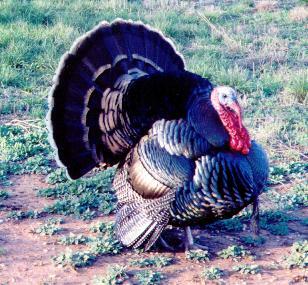 Tom the ranch watch turkey keeps control over the yard.